The celebration started in the bar area where we each chose a drink. Many of us had one (or 2 or 3) Moscow Mules: a delicious mix of ginger beer (which is actually not beer at all but rather a ginger syrup), vodka and lime. Moscow Mules are simply too easy to drink so you have to be careful. We then moved into the private dining room prepared for 14 guests around an oval table. The room was perfect for the occasion as we had a semi-private area to talk, take photos and move around the table. To start we shared plates of fried calamari, antipasti and bruschetta placed on the table. We each ordered a starter, a main dish and later a dessert. 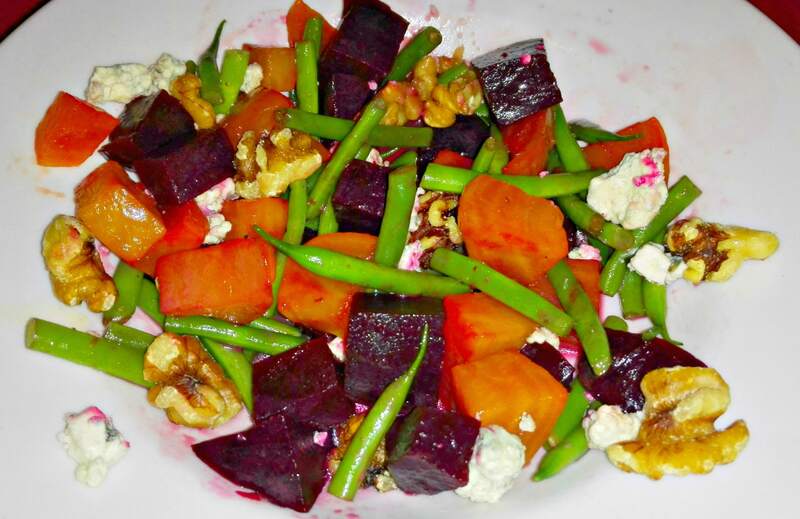 I ordered Roasted Beets with Green Beans, Goat Cheese and Walnuts. I have a hard time resisting roasted beets. 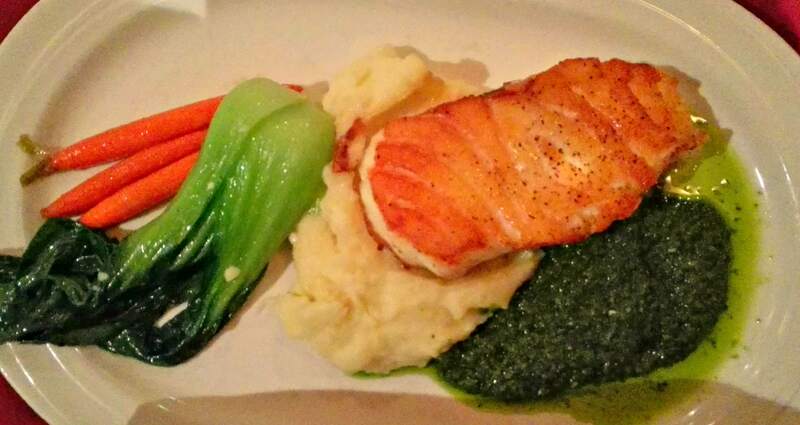 For my main dish I ordered the Sea Bass with Mashed Potatoes and Sauteed Greens, while some of the other dishes included Cioppino, Eggplant Parmesan, and Veal Chops. 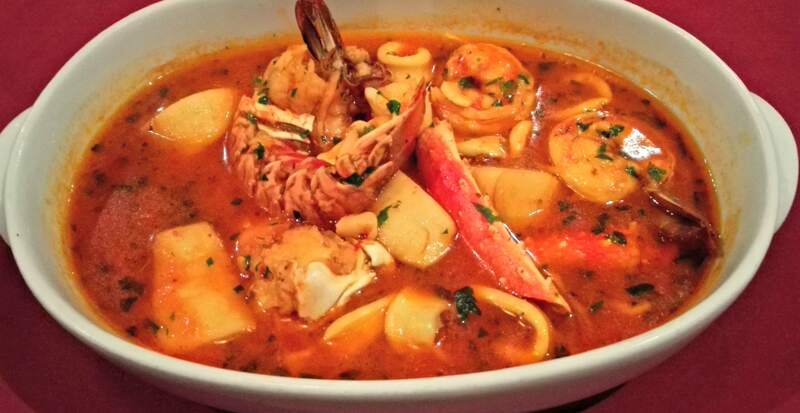 Cioppino is one of my all-time favorites yet it is a dish I can never seem to eat without making a mess on my shirt. We finished our lovely meal with dessert, each choosing off of the menu. I selected scoops of pomegranate and blackberry – cabernet sorbet. The blackberry-cabernet sorbet was so yummy! 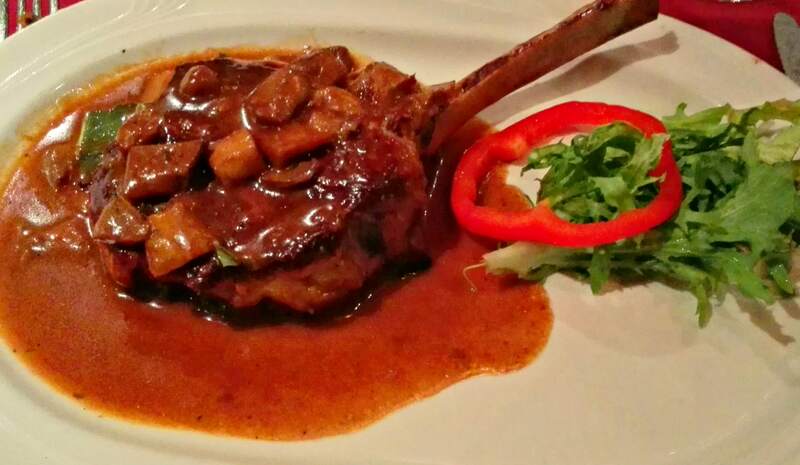 Matteo’s always provides wonderful service, making everyone feel that they are special and part of a larger family. In the main dining room parties are seated in comfortable booths where it is easy to talk and hear each other over any background music or noise from other conversations. 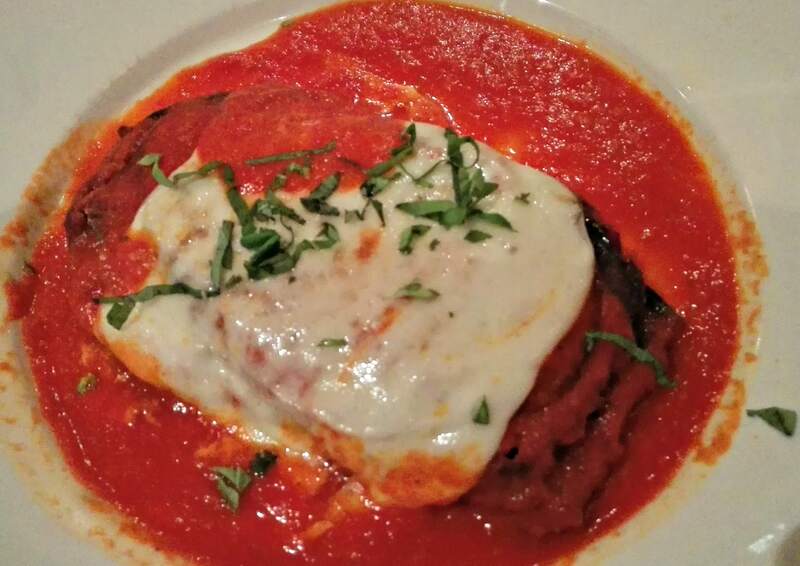 Delicious food, wonderful service and a comfy-elegant-warm atmosphere makes Matteo’s a family favorite!